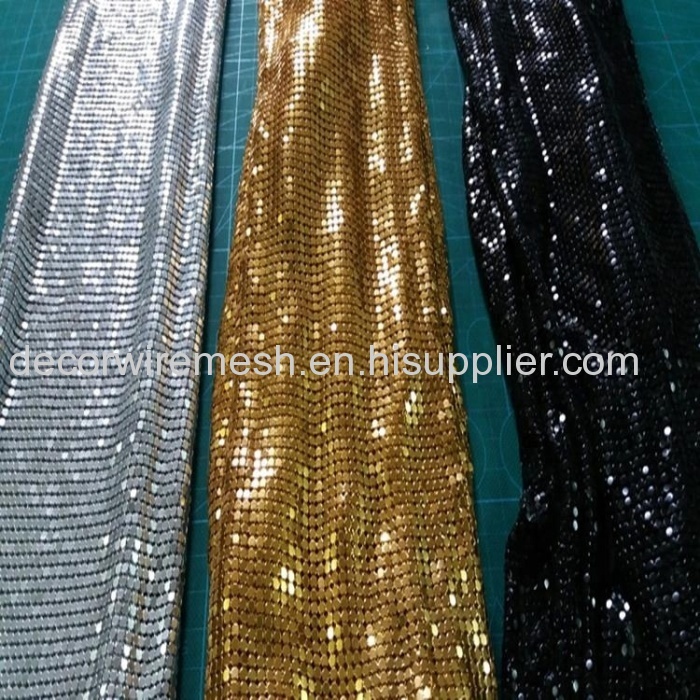 Metallic sequin fabric, made of the flexible aluminum flakes and rings,is a new kind of decorative material in interior design or clothing design in industrial applications. It is connect by many sequins(with 4 branches)and rings, it looks like a spider, each 'leg' of the sequin works in a ring and folded back itself to secure they connect each other. 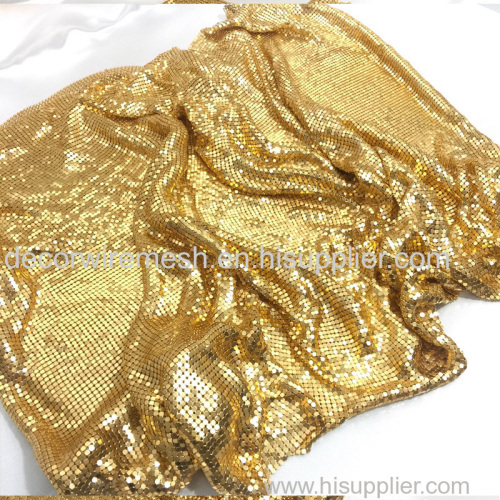 With its versatility, unique texture, variety of colors, durability and flexibility, metallic sequin fabric is more and more popular in the inner design and clothing design. 1. Colorful: Metallic cloth is a new kind fabric with variety colors, such as gold, silver, black, red,etc. 2. Unique texture: Metallic cloth is made of Aluminum sequins. 5. 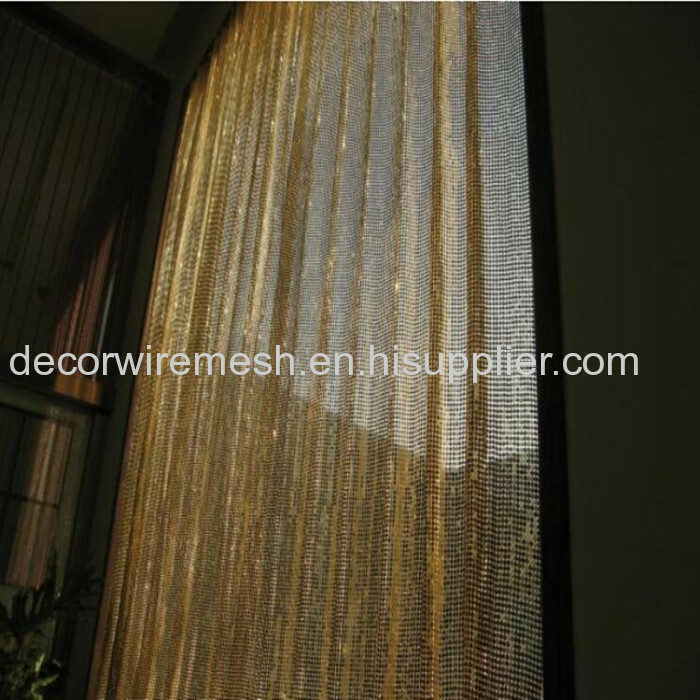 A variety of applications: Use Metallic cloth to screen off a room, hang from the ceiling for decoration, also can be accessories for cloth, handbag, necklace and more. 6. Visual Merchandising: Use LED lighting to enhance visual impact of your project. 7.Size: Metallic cloth can be customized. Our common size of the panels: our common panel is 1.5m*0.45m for one piece. 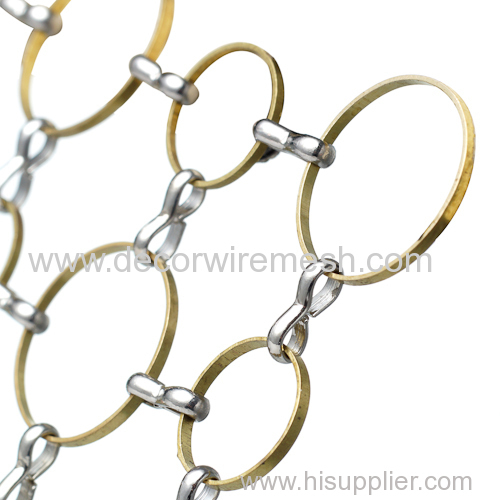 And we also supply this kind of mesh in sq meters.